In small bowl, mix Dressing ingredients until smooth. Pour dressing over salad; toss to coat. Cover; refrigerate about 1 hour to blend flavors. 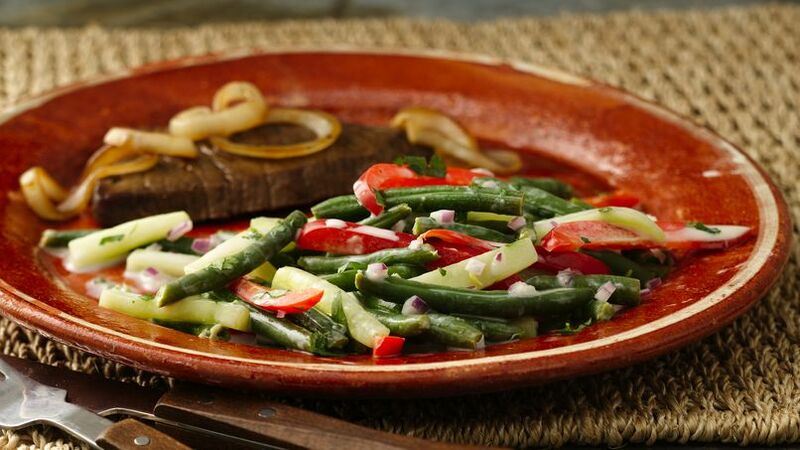 Looking for a wonderful side dish that’s made with frozen green beans and Yoplait® yogurt? Then try this veggie salad that’s tossed with vinegar dressing.